Poop 911 (Also Known As Hound Mounds Dog Waste Cleanup Services) Is Currently Serving The Following Counties Of Nevada: Storey County, NV And Washoe County, Nevada State. We Are A Professional Company That Picks Up Dog Poop In Reno, NV As Well As Sparks And Sun Valley, NV. Somewhere Close? Give Us A Call At Poop 911. Is the poop in your yard getting to be a pain in your grass? Never fear POOP 911 is here to scoop the poop out of your lives. POOP 911 to the rescue for your poop scooping needs! POOP 911 is here to help. No more dirty work for you and your family. Have kids? Worried about what they might be tracking into the house? Never fear POOP 911 is here. If your dog poops it we will scoop it. We offer weekly, bi-weekly visits and will build a custom schedule and plan to meet your households needs. We have been in business since 2005 keeping customers happy and their yards green. We don’t bill in advance! We are the only pooper scooper company that bills after each service visit is completed on that same day. If we aren’t able to scoop due to inclement weather you don’t get billed. It’s as simple as that! So call us at 1-877-POOP-911 today and come home to a clean green yard. We guarantee your satisfaction or your next scoop is on us absolutely FREE! Las Vegas POOP 911 pet waste cleanup company services the cities of Las Vegas, North Las Vegas, Summerlin, Henderson and Boulder City, NV dog poop cleanup services. Not having a poop free yard can really be a nuisance. Everyone wants to use their back yard especially in the spring time. How can you do that though if you have dog poop everywhere? Never fear POOP 911 is here to take care of all of your pet waste cleanup needs. Whether it’s been 1 week or 1 year since you last had your yard poop scooped we can help. We offer weekly, biweekly, monthly or any other time interval you can think of for service to the greater Las Vegas area. Our rates start as low as $9.95 per week and are billed automatically to your credit card. NO ADVANCE BILLING! We proudly guarantee our work and if you’re not satisfied your visit is free! So tell your friends, tell your family have a clean and green backyard again. Call 1-877-POOP-911 or schedule service online with our completely automated online pooper scooper service scheduling system. We also offer deodorizing, pool deck hose off and many other services to both residential customers and commercial customers. Call the Poop Police at 702.701.3691 for immediate services or to startup a routine, scheduled cleaning program with no long term commitments. Uniformed cleaning technicians are very familiar with the collection and care of your home while and during their visits. And whats really special about the Poop Police Service for pet owners in Las Vegas is that services include not just the collection / cleanup of the dog poop, but also the complete removal of it from your home when the service visit is completed. Very affordable prices that are surprisingly affordable that can be viewed on the www.pooppolice.net website. Want to learn more before calling? Just skip over to the website and read through a brief summation of the services on the FAQ page. When you become a happy customer of Poop Police Las Vegas, you'll be able to make quick, convenient payments via Paypal right through the website. Call or text today @ 702.701.3691. Please call us for full list of rates. We pick up the poo so you don't have to! 100% honesty, integrity, and satisfaction. Contact us through Facebook, email or call 208-446-6398 and we can get you scheduled in! We do residential and commercial properties. Locations: South Reno, NV (more to come soon). Thank you for visiting our page. We are a licensed and insured business. 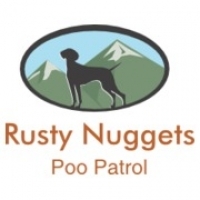 If you simply don't have time, aren't physically able, or just plain don't want to pick up the dog poo in your yard, call Rusty Nuggets Poo Patrol! We can come to your home 1x weekly, 2x, or 3x weekly. Also, we do one time big cleanups. Prices vary per household. "Rusty Nuggets Poo Patrol! 208-446-6398. Our Weekly Prices are Very Competitive!! Weekly prices vary per household depending on how many dogs you have and how often you would like pickup. Call us for a quote! We would love to help you out! 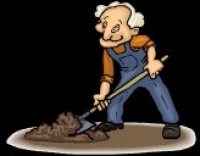 We are a pooper scooper service servicing the Reno, Nevada area. Bob's Las Vegas, Nevada Pooper Scooper Service - "Number One @ Number 2"
Bob's is a family owned and operated business, serving Las Vegas and surrounding areas for over a decade now. The business was bought in 2004 and have been working hard to build & strengthen our relationships with our clients. We do this by maintaining a customer first attitude, focused on the individual needs of each of our customers. Our customers are our first priority and we are here to serve you. Convenient flat monthly billing and invoicing. Satisfaction guaranteed pet care services. Over a decade of ongoing clients. Easy online signup form. Quick responses to emergencies. A1 PET Waste Maintenance was established in 1998 and we are the premier pet waste maintenance service in Southern Nevada. A1 PET is licensed, insured, registered with the Better Business Bureau and a supporter of the Nevada Society for the Prevention of Cruelty to Animals (NSPCA). We provide an inexpensive yet invaluable service that finds and scoops pet waste from yards, kennels, and litter boxes. No contracts are required! A1 PET has been voted the best service of it’s kind in Southern Nevada. We currently service more than 400 single and multi family properties on a weekly basis. We are in fact the big dogs in pet waste maintenance services. Reno, Sparks Fernley And Surrounding Areas of Nevada State. Hanly's Hounds is a professional local reliable business that is Licensed, Bonded, and Insured. We are Northern Nevada's Premier dog waste pickup business and for a surprisingly low price, Hanly's Hounds comes to your yard regularly to clean up all those "canine calling cards" for you. Weekly service is just $8.25 for one dog. Additional dogs, only $3.50/ea. Do you have 4 or more dogs, just call us for a special rate. After your first time cleanup we bill you at the end of the month for weekly service and as always there are no contracts! Haven't cleaned up after your pups in awhile? Don't worry! We can come and give you a personalized estimate! Most first time jobs start at $25. Dog Poop-Scooper Waste Pickup In Las Vegas, NV. "Chris and Andrea established Poo Snatchers seven years ago & have built the business from the ground up to approx. 300 residential & commercial dog waste removal clients. They are in different parts of the Las Vegas area on different days. Monday is Northwest for one route and Henderson is the other route. Tuesday their professional scoopers cover west from Southern Highlands to Charleston--Wednesday is Green Valley--Thursday is Summerlin and the northwest. Friday is southwest and the east end of town. Their K9 scooping routes are set up so they can accomodate clients that want service more than once a week. The Entire Las Vegas Valley, Henderson, And North Las Vegas Poop Scooping. 702.420.0707. Prices can be viewed on the website as well as various frequently asked questions are answered. But feel free to call and ask any questions by calling or emailing us. Our goal is to make life easy for our customers. No one enjoys picking up their dog's waste, so we take care of that for you. Our hardworking, background checked scoopers come to your home once a week and remove your dog's waste from your yard, then we take it with us when we leave so you don't have to deal with it! We've been doing this for many years and our business is designed to make it convenient for you. We are also extremely efficient which enables us to have the lowest prices from a licensed and insured pet waste removal company. 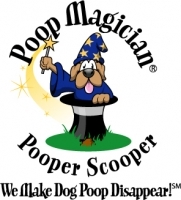 To start service, or if you have any questions, please call Discount Pooper Scooper services. Take Back Your Backyard! Sick of the never ending supply of poo in your backyard? Now we know you've been putting off cleaning your backyard for a couple weeks. You're not looking forward to the 100 degree weather, all the bending over, shoveling, bagging and disposing of those gross smelling messes that your pet leaves behind. Ewww! Let US take care of the dirty business, because you don't want to. New to a Poop Scoop service.....? You'd be surprised at how convenient, simple, and affordable it can be. Starting at $10 a week and a variety of payment plans and options, you'll never have to worry about America's #1 worst chore ever again. Give us a ring to start removing all those canine landmines from your backyard. (702) 856-6143. Scooper Dave is one of the few operating pooper scoopers in Nevada that´s crazy to open up in the Las Vegas sweltering heat. Thank God, because my short term visits qualify my suspicions that Vegas pet owners desperately need this pet service. Honestly, who really wants to scoop poop in 115 degree heat(?) Scooper Dave does! Give him a ring. Las Vegas Henderson North Las Vegas Blue Diamond Boulder City Bunkerville Cal Nev Ari Cottonwood Cove Goodsprings Indian Springs Jean Logandale & Mesquite, NV. Also, poop scoop removal services in Moapa Overton Primm Sandy Valley and Searchlight, Las Vegas Nevada. Professional Dog Pooper Scooper Services in the blazing African heat of Nevada? Sure! Have you been arguing over who’s turn it is to be on dog poop patrol this weekend? Irrespective of whether it be the windy months of winter or the “dog days of summer”, you and your family no longer need to be responsible for picking up your dogs poop any longer. Yes, I know you love your dogs. But do you love cleaning up their excrement when the thermometer mercury is about to burst? If you’re like me, you can think of a lot better ways to spend your free time than picking up after your dogs and cats. Well, thanks to professional dog pooper scoopers like those listed here, you no longer need to be concerned about cleaning up your pets weekly poop deposits. Put your “poop detectors” away and stroll confidently through your yard. How? Hire a professional Nevada pooper scooper to take full responsibility for routinely visiting your home on a scheduled basis and removing all those smelly “canine calling cards” so you need not worry about it any longer. 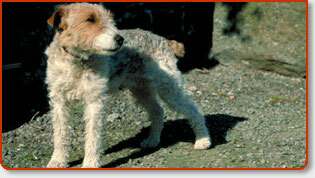 Not to be left out, many of these dog waste removal services have been servicing cat litter boxes as well. No joke, they take care of all your pet poop problems. This is THE premium service for those of us who have dogs and cats but find the necessary task of consistently picking up after them unpleasant and just down right flavorless. There’s not a bigger let down when you want to take advantage of a quick wrestling match with the dogs before supper or settle into a impromptu game of wiffle ball with your challenging kids, only to find yourselves knee deep in doggie dooty. I speak from experience here. I grew up playing “dodge ball” and “pickle” in a lot of my friends backyards. The joke amongst us still today was that we spent a lot more attention and sweat on attempting not to “step in it” than we did on actually dodging the ball from hitting us. Believe me, and I think you would agree, there is nothing like having a asthetically clean, odor free lawn and garden that you are proud to invite your friends and family over to enjoy with you. Did I forget to mention all the time and arguments you’ll save yourself and family? Completely avoid this hassle altogether and contract one of these professional pooper scoopers if you ever want a fighting chance to make it out of the poop mines alive! Hey, I’m with you Vegas. I’d rather lose my money on the craps table having fun than be drafted into playing weekend pooper scooper!